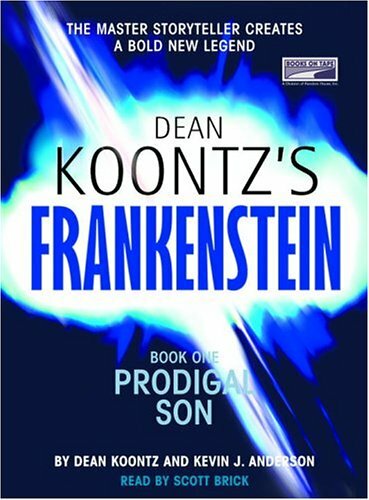 It has been a couple of decades since I read Dean Koontz's books, I don't even remember what the last book was (so that is closer to 30 years when I was in high school). I am glad I picked up this book. I originally picked it up as a lark, it was on sale on Amazon and it seemed like an easy listen while I do some computer work. It was a fairly easy listen (read) but it was interesting too. It wasn't just some weird cop out of the Frankenstein story, it was basically a reimagined sequel. I don't want to go into the plot to much (no spoilers) but I will say I liked that it more focused on a variety of characters including a female detective that I liked (honestly she is pretty similar to Anita Blake territory but better written). The story is tight, lots of moving parts that come together and some interesting plot turns. I knew I had liked Koontz's writing as a teen but now I realize why. I highly recommend the book, and I just found out its part of a series so guess what I am going to look for, book 2. Sign into Goodreads to see if any of your friends have read Prodigal Son.